The iconic Schweizerhof Bern emerged from its top-to-bottom facelift looking sleek, and with its authenticity intact. 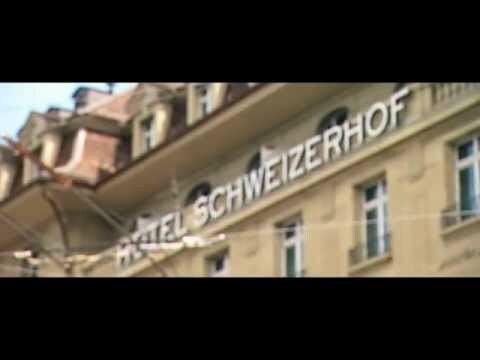 The Swiss capital is home again to the legendary Hotel Schweizerhof Bern & THE SPA. The completely renovated hotel in the center of the city is a fusion of an impressive legacy with contemporary flair, noble design and exclusive service. With its 150-year history, the Schweizerhof is the hotel with the richest heritage in Bern. Celebrities like Peter Ustinov, Grace Kelly and Albert Schweitzer stayed here. Following its refurbishment, it radiates an aura of great tradition and grand style. That symbiosis is also reflected in the generously sized rooms and suites – all with the very latest technological conveniences – where a mixture of French charm and English understatement awaits. The restored, classic chandeliers bathe the rooms in a harmonious atmosphere, while the bathrooms are urban and up-to-date. The legendary Jack’s Brasserie offers classic market-fresh, French Brasserie cuisine as well as Schweizerhof classics – such as its famous Wienerschnitzel. Luxury and harmony! A realm of relaxation extending over 500 square meters - pamper pool, sauna and Hammam facilities, as well as fitness and treatment rooms. The Sky terrace. the most beautiful hotspot above Berne's rooftops with its breathtaking 360° panorama view. 6.2mi/10km from Bern Int’l Airport (BRN) and 80.7mi/130km from Zurich Int’l Airport (ZRH). Explore the covered arcades and alleys of Bern’s old town, a UNESCO-listed world heritage site, by audio guide. www.bern.com. Race the kids up Gurten hill’s 2,830-foot (864-meter) peak where a well-equipped playground offers fun galore, as well as panoramic views of the Alps. www.gurtenpark.ch. The dining room of this restaurant sets the scene for a celebration: the magnificent vaulted chamber resembles cathedral architecture. The menu now offers Swiss and Mediterranean specialties. www.bindella.ch. Eight centuries of European painting and sculpture form the heart of Switzerland’s oldest art museum, whose collections feature works by the likes of Monet, Hodler, Picasso, Giacometti, Rothko and Dalí. www.kunstmuseumbern.ch. On Lake Morat’s southern shore, the magical town of Murten was founded in the 12th century; its city walls, town council house and nearby Löwenberg Castle make the entire town a heritage site. www.murten.ch. In business for more than a century, the Della Casa family concentrates on traditional Swiss-German cuisine—with just a scattering of Italian dishes for old time’s sake—on the first floor of this traditional Bernese sandstone-and-timber house. www.della-casa.ch. From toys to tablewear, handicraft house Heimatwerk focuses on high-quality and hand-made precision in its wares. www.heimatwerk.ch. Roses, irises and rhododendrons make this hilltop oasis a delightful jaunt, with its views over Bern’s old town that stretch to the Jura Mountains and the Alps. www.rosengarten.be. On Bern’s western limits, the shopping enclave Westside Center stands out for its incredible architecture; it was designed by New York–based architect Daniel Libeskind. www.westside.ch.